A main function of the Students’ Union is to practice good governance, and to set a high standard for student participation and respect for the funds students contribute to the organization. Each year, the Douglas Students' Union holds an Annual Election for members to vote for their Board of Directors. This year, we are also asking members to renew the U-Pass BC Program. the College and Institutes Act. The Societies Act of BC provides the board structure under which all societies operate, and this includes students’ unions. The Act mandates that societies have bylaws to define their structure and broad operating rules, and that societies may create policies to further define the operational principles of the organization. Below you will find the bylaws, which are adopted by members, as well as the policies and procedures that are adopted by the Board of Directors. These documents are updated each year after the annual general meeting. The Constitution and Bylaws of the Students’ Union are adopted by members and define the broad structures of the organization. Key topics include membership, fees, financial management, board structure and responsibilities, elections, and general meetings. These documents may only be changed by a special resolution, which is a vote of the members at a general meeting or by referendum, that is proceeded by a 14-day notice period, and that passes by not less than 2/3 of voters in favour. Policies define operational principles that guide the board of directors and staff in implementing the bylaws fairly and with consistency. Policies are adopted by the Board and require two readings and a vote of not less than 2/3 in favour. Policies cover such topics as clubs, board of directors conduct, board sub-committees, election rules, service operations, financial management and budgeting. Procedures describe the terms, methods, processes and compensation levels that apply to Students’ Union programs, or regular operations of governance and management functions. Examples of procedures include service rules, expense reimbursement levels, and terms of reference for financial aid awards. 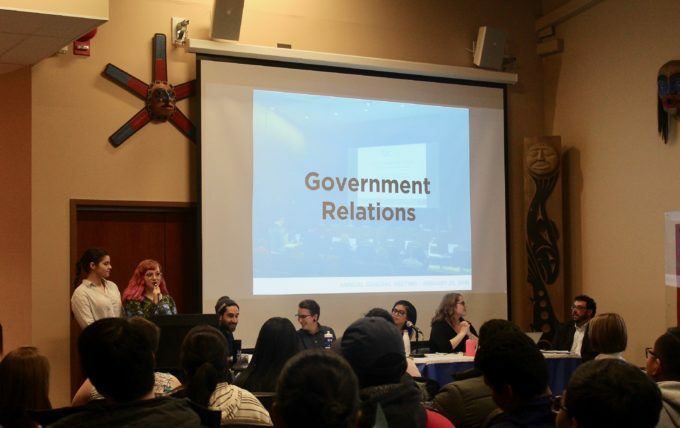 The central records of the Students’ Union include the audited financial statements, board of director minutes, and minutes of each general meeting. This website contains recent records, updated at least annually, and other records of the Students’ Union are available upon request per the Bylaws and the Societies Act. Students at Douglas are also members of the BC Federation of Students, a province-wide student organization providing services, and advocacy on provincial and national education issues. Information on Federation services, campaigns and government relations work is integrated into the other pages of this website, and information about the Federation’s governance can be found on their website via the link below.